Winter is coming, and Westeros isn't the only place where there's much to prepare for. Make sure you keep your home, health, and sanity intact by taking the following preventative measures now. Ebola fears have reached a fever pitch lately, but that virus doesn't hold a candle to seasonal influenza, which claims thousands of lives each year according to the Centers for Disease Control and Prevention. Give your body the best chance of avoiding the flu — and fighting it if you do catch it — by getting a flu shot. While you're at the doctor, update your prescriptions and take care of any other check-up type necessities, so you can make fewer trips when the weather is poor. 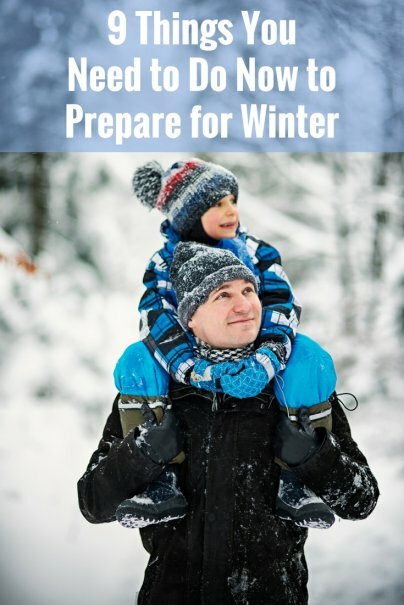 How do you prepare for winter? Do you have other tips you'd like to add to this list? Please share in comments! In our house, the temperature never got turned above 69 in winter ... it's an adjustment anyone can make, and you won't die .... I'm living proof!